Those seeking resort-inspired condominium living on the lake will find their ship has come in at Ocean Club in Etobicoke. Recently, Graywood Developments Ltd. and Beaverhall Homes introduced two new floors in each building (tower and boutique condominium) with a total of 53 suites available – the final opportunity to buy at this incredibly successful community. Already under construction, Ocean Club graces the shoreline of Lake Ontario, amid scenic parks, trails and the evolving amenities in the Humber Bay Shores redevelopment. It’s just moments to shopping along the Queensway, and easy access to major highways makes downtown Toronto only minutes away. As stunning as it is well placed, Ocean Club cuts a striking silhouette on the waterscape. Designed by Page + Steele, the 39-storey glass condominium and 10-storey boutique’s exteriors capture the nautical feeling of the condominium’s setting. The point tower’s roof will slope to resemble a sailing mast. Also inspired by the condominium’s lakeside location, the community will feature 19,000 square feet of landscaping by Strybos Barron King in the style of oceanfront condos in South Beach, Miami and Vancouver. Year-round vacation-style living at Ocean Club includes beautiful city vistas and unobstructed water views from many of the suites. On the south side of the community, the condominium will feature a cool waterside bistro and outdoor patio – sure to be a popular gathering spot in the area. Inside, owners will have the luxury of chic amenities appointed by Tomas Pearce Interior Design Consulting. The spectacular three-storey lobby is reminiscent of an international hotel, with its glass walls and indoor salt-water pool and water-cascading hot tub opening onto a wraparound outdoor deck. There is also a landscaped outdoor terrace on the 8th floor of the tower, complete with furnishings and a barbecue. Ocean Club’s amenities extend to a fitness centre, TV lounge and elegant dining room with outdoor terraces, billiards room, and two pet-grooming rooms. As for the suites, these layouts come with standard features of such a high quality, that most purchasers find they can create the surroundings they want without upgrades. Suites feature fully integrated kitchens custom designed by Tomas Pearce with extended-height uppers and valance lighting; granite or engineered quartz counters; an extended breakfast bar on island (as per plan); porcelain, ceramic or glass tile backsplash; and built-in appliances. Features also include 9-foot ceilings (as per plan); wide-plank engineered hardwood flooring; floor-to-ceiling Low-E windows; and a balcony or terrace (as per plan). The available suites range in price from just the mid $200,000s. Sizes range from 395 to over 1,200 square feet. With prices this low in such a desirable location, this collection won’t last long – act now before the opportunity is gone. Ocean Club is brought to you by two legends in the new home-building industry. Graywood is the developer and builder of The Ritz‑Carlton Hotel and Condominium Residences, Toronto. Beaverhall Homes’ portfolio includes Shipp Place in Mississauga, Europa condominiums in the city and many luxury low-rise communities throughout the GTA. Both developers are known for designing top-quality buildings that enhance their surroundings and provide lasting value for owners. The final release of floors and suites is bound to go quickly. 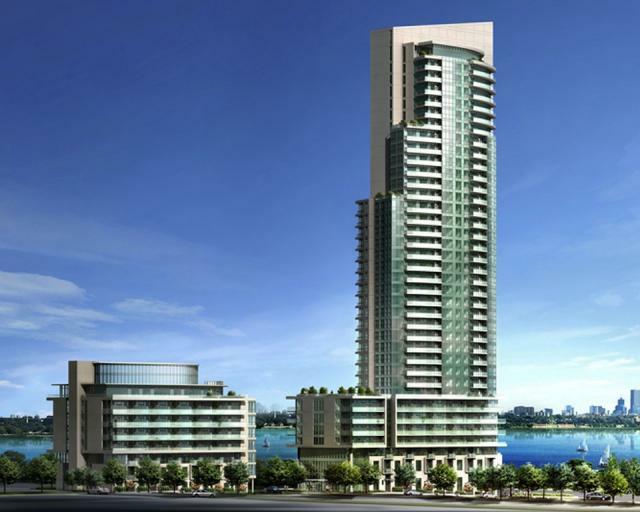 Act now, while there is still time to enjoy Florida-inspired living right in Etobicoke! Sales are by private appointment; call 416-255-4661.